This festival is to photography what Cannes is to cinema. It was launched in 1969 by photograph and image enthusiasts, Lucien Clergue, Jean-Maurice Rouquette, Michel Tournier and others. 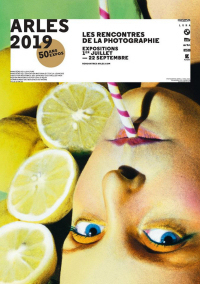 Every year this marks a high point for photographers and marks Arles out as an international capital of photography. Les Rencontres organise open air night projections at the Roman Theatre, a unique international event. Every evening a photographer or a photography specialist presents photographs sometimes accompanied by a concert or performances, focusing on a different subject every evening. Conferences and debates are also held during the opening week. For six years the "La Nuit de l'Année" has projected photographs of various figures working in the media, magazines, or agencies, onto giant screens along a spectacular photographic night walk in the city centre. Some 60 exhibitions are set up around emblematic sites of Arlesian heritage, but also in places that are usually closed to the public and which are thus brought back to life during the summer. A few years ago, Les Rencontres were the first to organize an exhibition in old the railway workshops. In 2010 Les Rencontres first organized the "Village des Rencontres" on this site, that stands as a symbol of Arles' cultural future. It is a new space in which to meet photography enthusiasts, collectors and professionals, that come during the opening days of the festival.